Experience: One of the reasons we have been so dependable over the years is because of our experience handling all types of terrain, machinery, weather and different situations. The fact that we can eliminate a lot of the hassles you face during a build will not only make things easier on you, but it will ensure the job gets done right. Selection: Another advantage that our clients have when working with us is the fact that they can utilize our vast selection of equipment. As a builder, you are going to get projects of all different sizes. You want to work with a company that can handle anything whether it’s something small or something big. Safety First: There is no such thing as rushing. We believe and have proven time and time again that if you do a good job and put safety first, you will get done on time. Rushing only leads to more problems and mistakes and we pride ourselves in putting safety first with no exception. 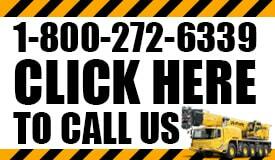 As your leading crane rental company in Virginia, we know that we are more than capable of handling any task that comes our way. Regardless of the terrain, size of the project or anything else, we will deliver high-quality work, on time and on budget. Give us a call today to schedule a free on-site consultation and ask about our other services.